RNA-protein interactions play important roles in various eukaryotic biological processes. Molecular imaging of subcellular localization of RNA-protein complexes in plants is critical for understanding these interactions. 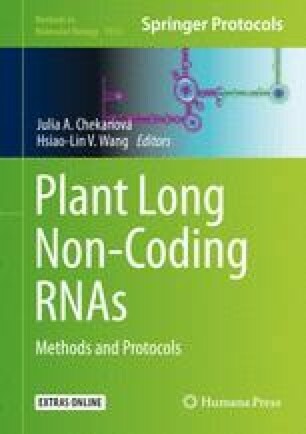 However, methods to image RNA-protein interactions in living plants have not yet been developed until now. Recently, we have developed a trimolecular fluorescence complementation (TriFC) system for in vivo visualization of RNA-protein interaction by transient expression in tobacco leaves. In this method, we combined conventional bimolecular fluorescence complementation (BiFC) system with the MS2 system (phage MS2 coat protein [MCP] and its binding RNA sequence [MS2 sequence]) to tag lncRNA. Target RNA is tagged with 6xMS2, and MCP and RNA-binding protein are fused with YFP fragments. DNA constructs encoding such fusion RNA and proteins are infiltrated into tobacco leaves with Agrobacterium suspensions. RNA-protein interaction in vivo is observed by confocal microscopy. We thank Dr. Ulrich Z. Hammes for the Gateway 6xMS2 tagging vectors. This work was supported by Singapore NRF RSSS Grant (NRF-RSSS-002).